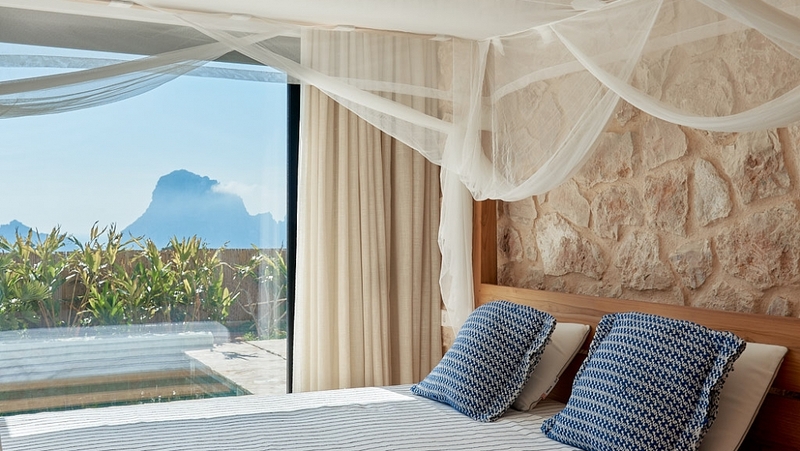 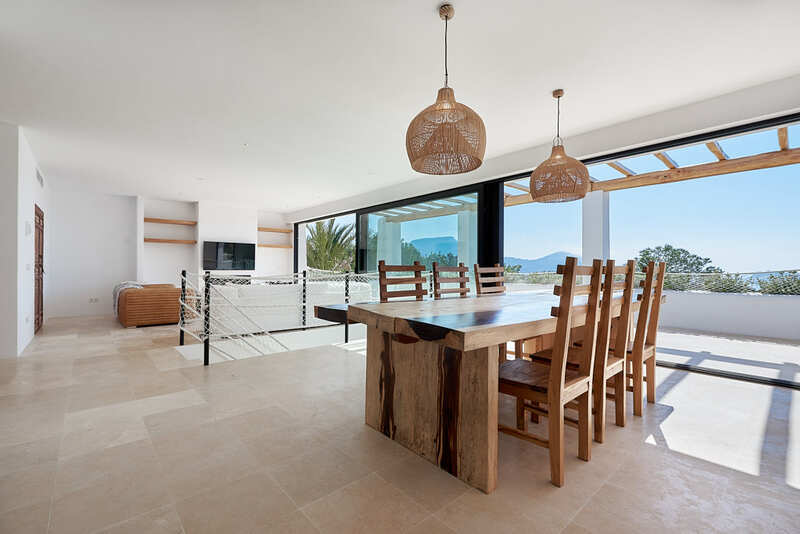 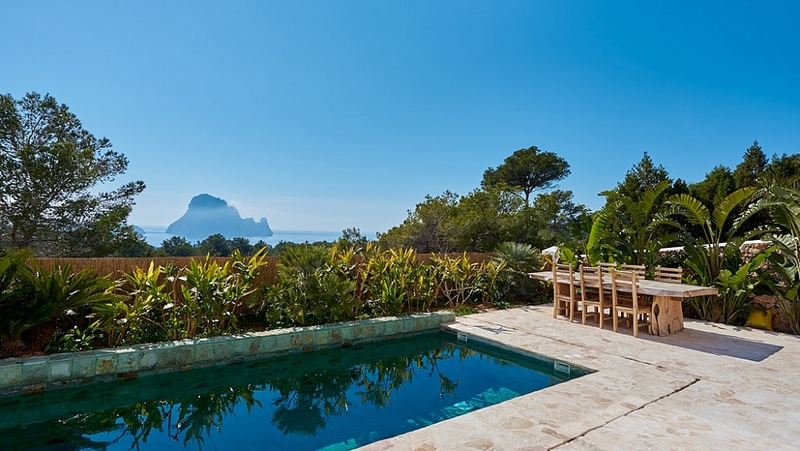 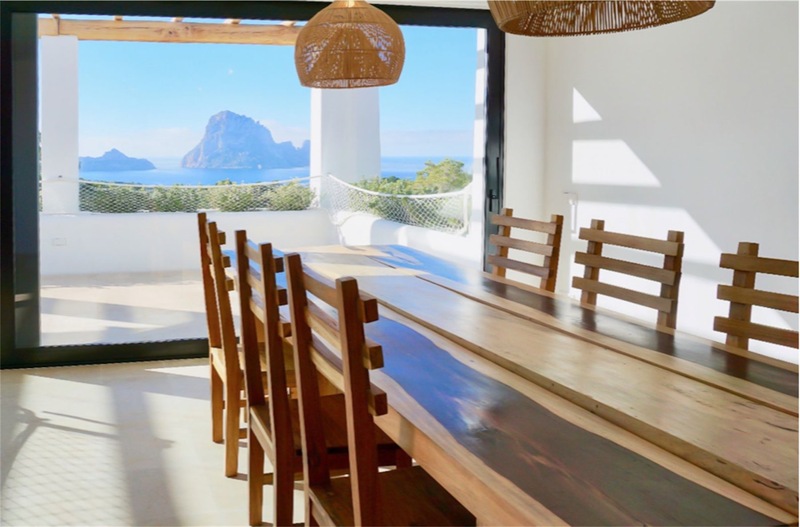 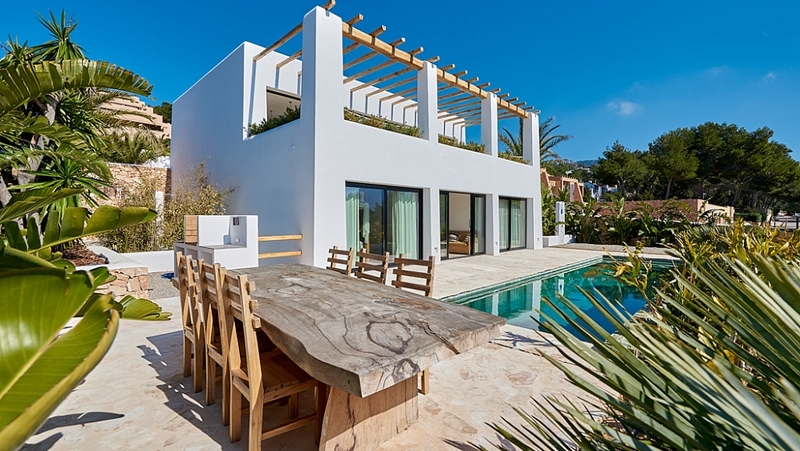 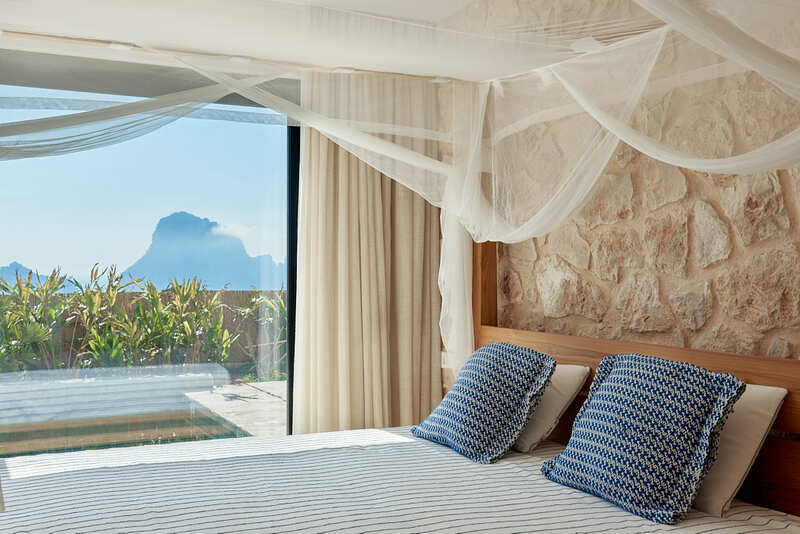 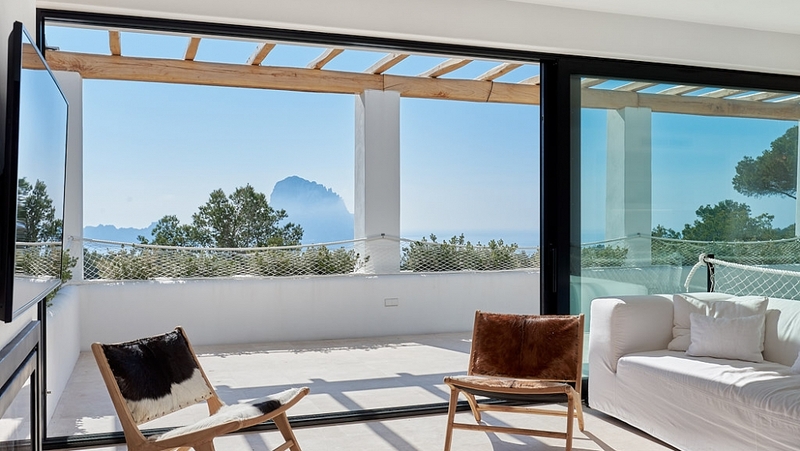 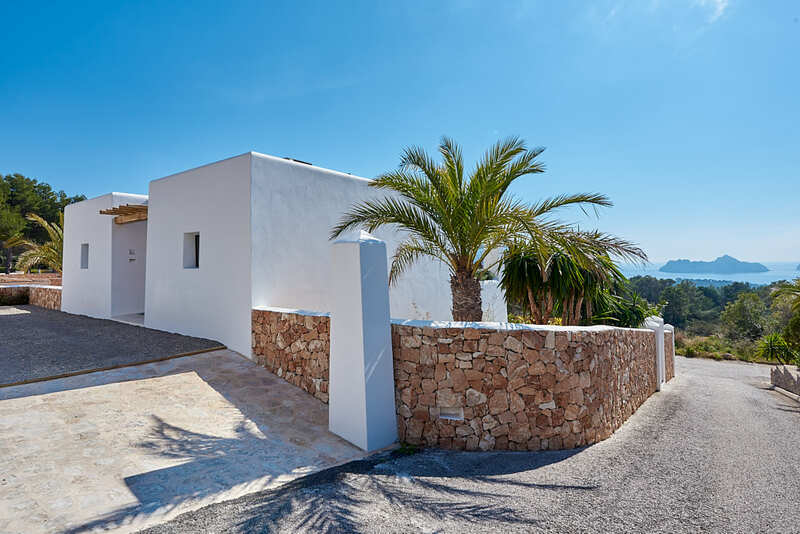 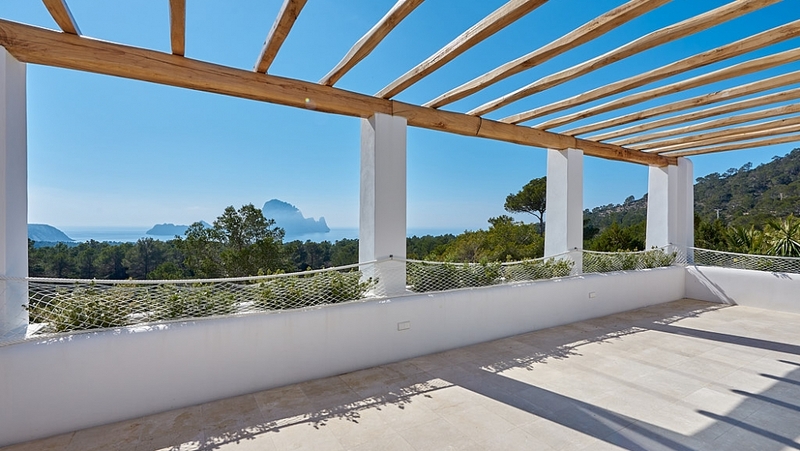 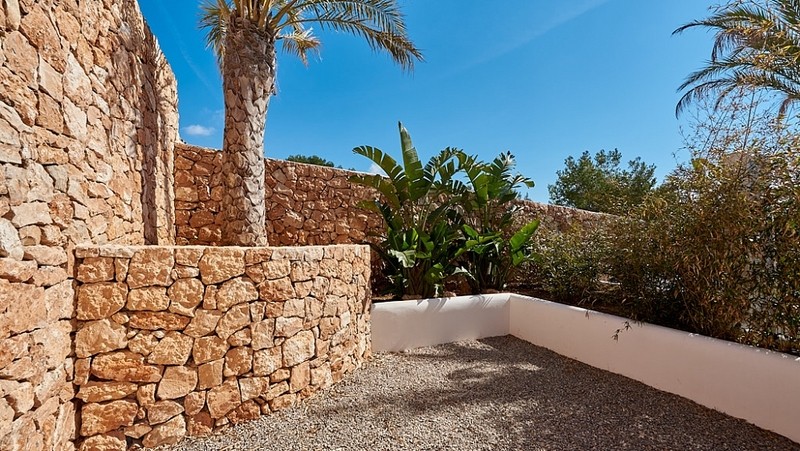 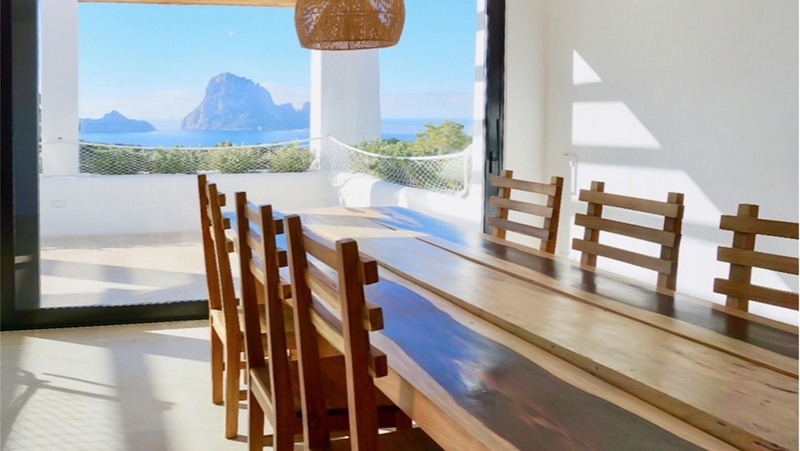 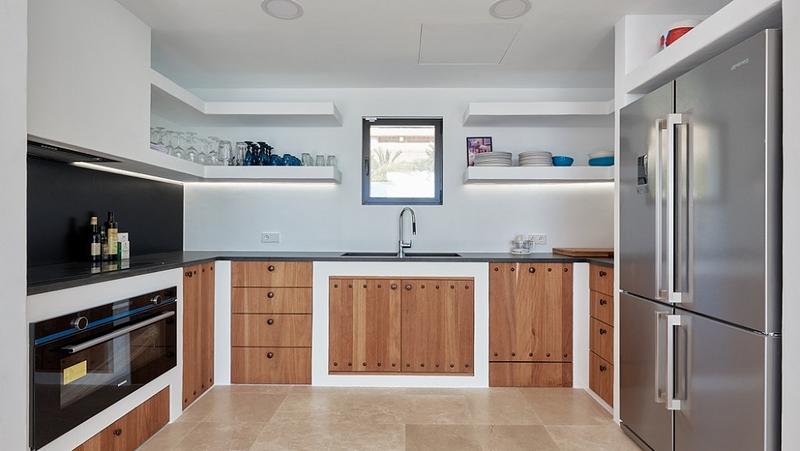 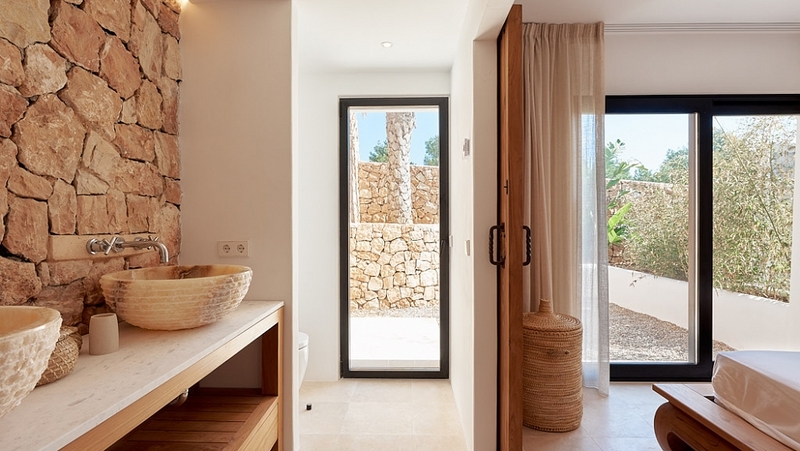 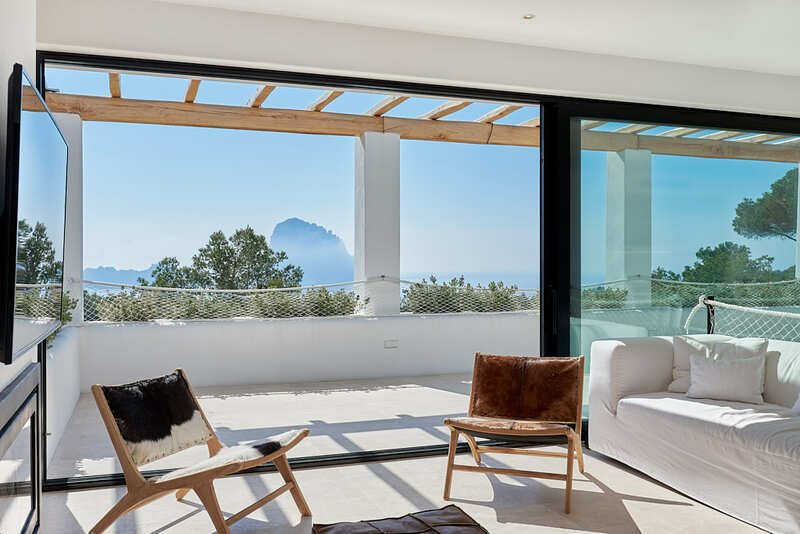 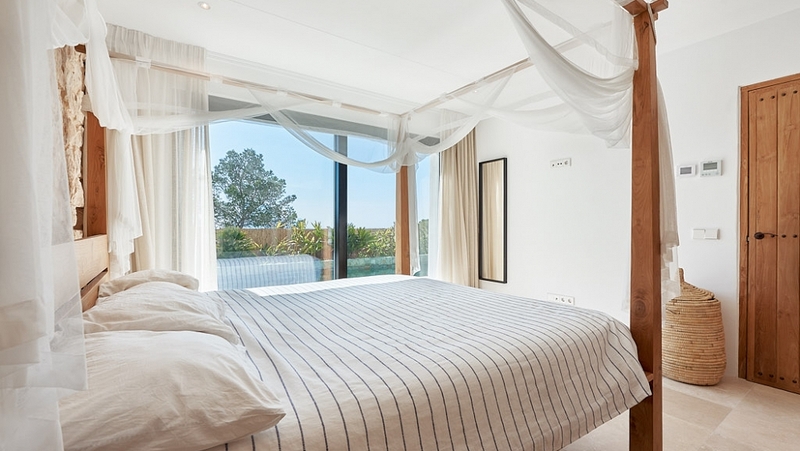 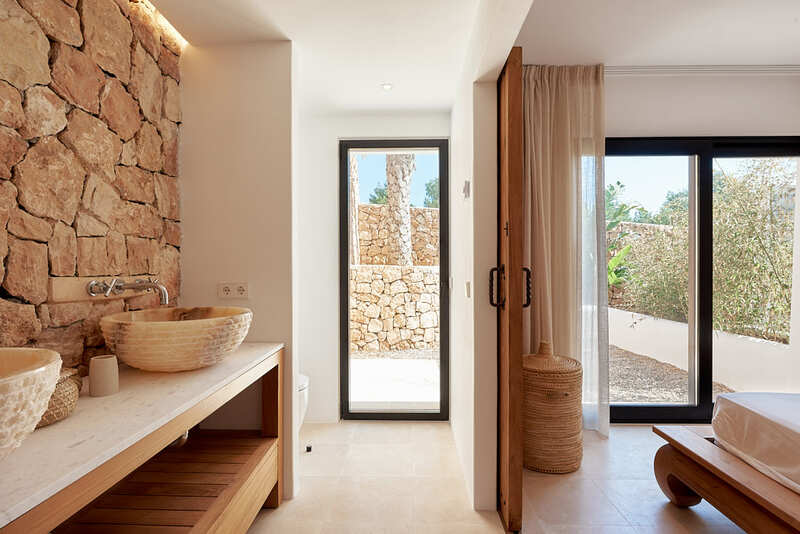 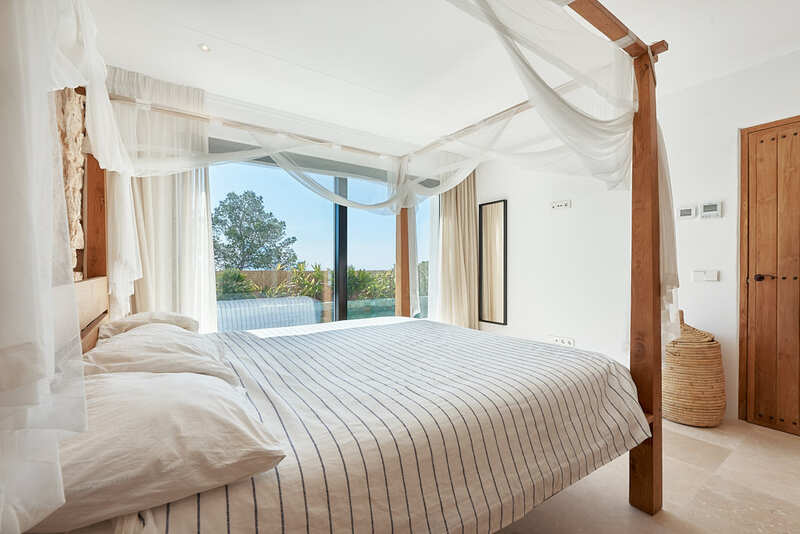 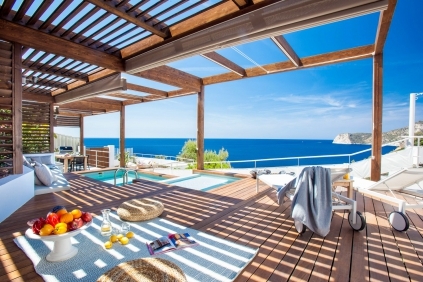 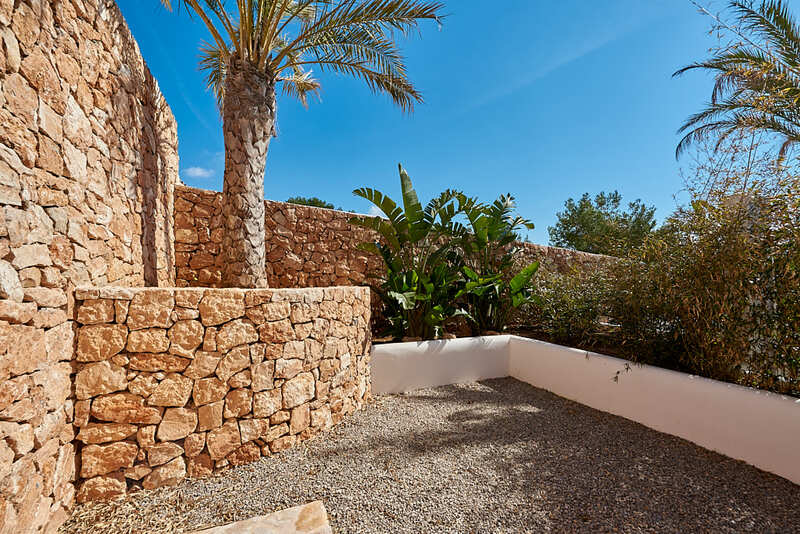 This is a unique property, for sale, for its stunning views and its strategic location a few minutes from Cala Carbó. 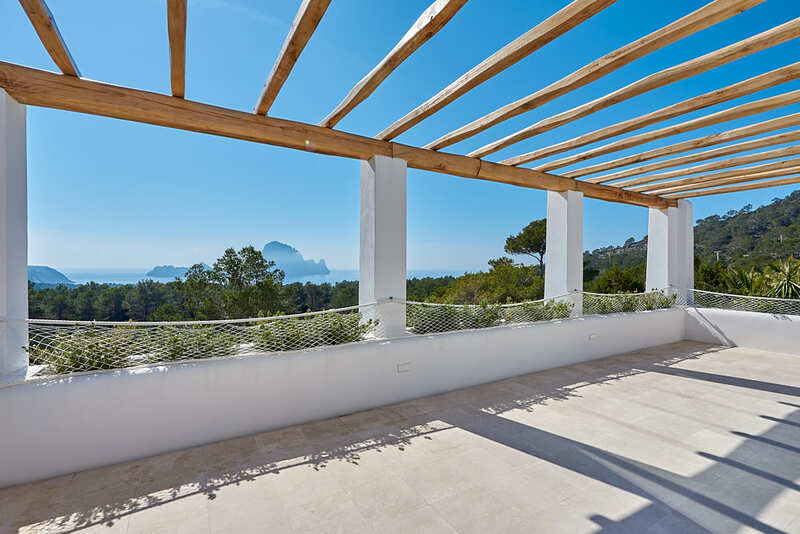 The property has a plot of 620 m2, a main house (facing south) of 210 m2, 150 m2 of terraces, a large pool and parking area.The villa has a bright and spacious living room, a dining room-kitchen with unique and exceptional views towards Es Vedrá and the islets that surround it, four fantastic en-suite double bedrooms and a fifth guest bathroom. 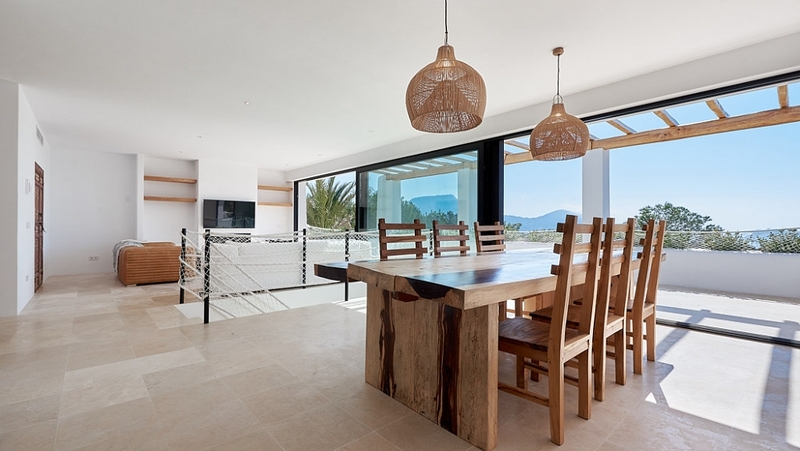 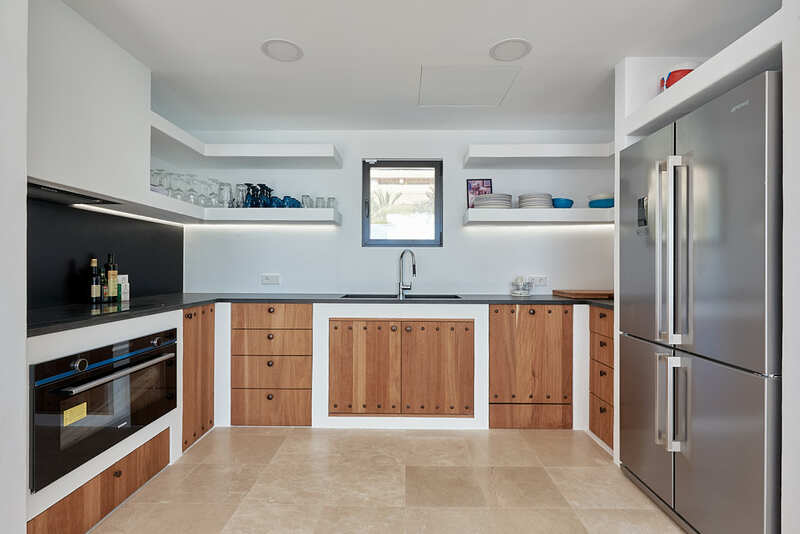 The outdoor area is the most desired area of this house, with outdoor dining and sea views. 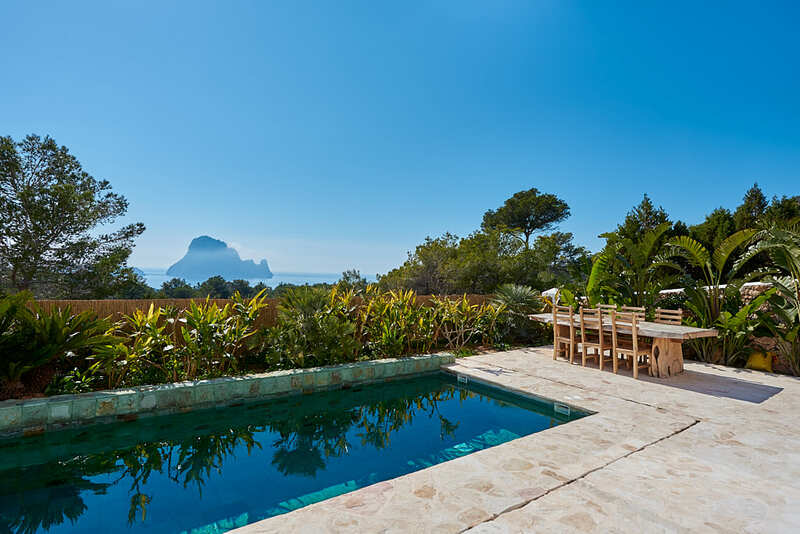 As well as a pool, 3x11m with osmosis and chill-out area.The complete equipment of this property includes a rainwater collection tank of 70m3, underfloor heating, air conditioning hot / cold in each room (5 in total), optic fibre internet, technal GTI carpentry, teak interior carpentry, marble floors and four outdoor showers. 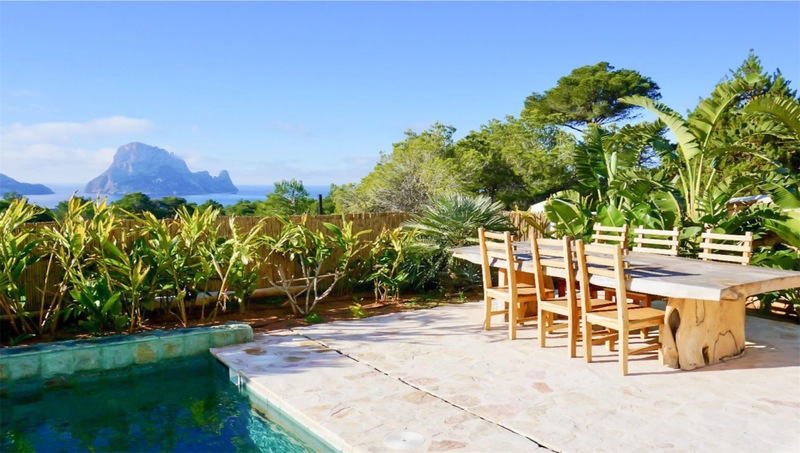 If you want to buy a property with unparalleled views, with a pool and four bedrooms, as well as one of the most desirable locations on the entire island, this is a fantastic opportunity for you. 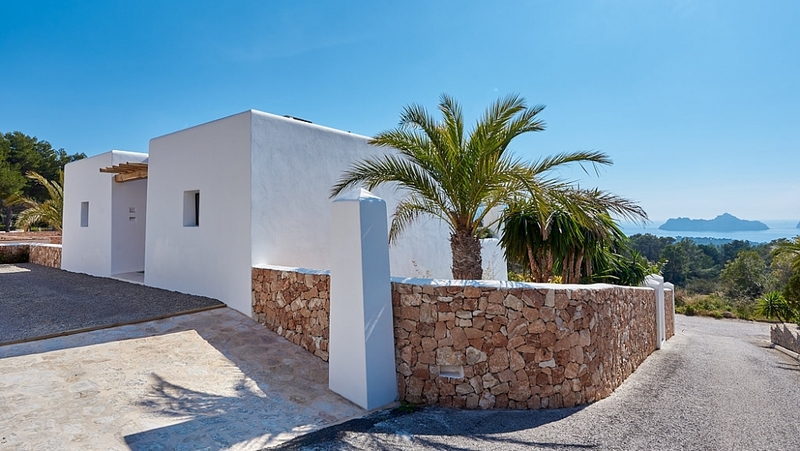 The seller has just drastically reduced the price of this stunning property. 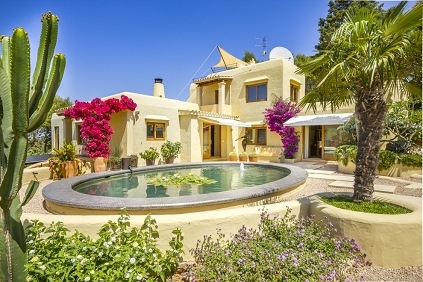 A real opportunity for someone who can act fast as the owner is open to reasonable offers.